Jeannie E. Javelosa is an advocate for culture and sustainability. She is a Co-Founder and Director of the pioneering retail store and social enterprise ECHOstore Sustainable Lifestyle, and President of the ECHOsi (ECHO Sustainable Initiatives) Foundation that is focused on development programs for local communities. As ECHOstore’s sustainable footprint expands, sub-brands include ECHOcafe, ECHOmarket, ECHOfarms, ECHOyoga and soon, ECHOstoreOnline. 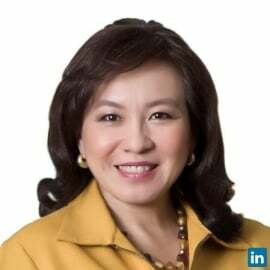 Jeannie is also Co-founder and Director of the 15-year old EON Stakeholder Relations Firm, an award-winning, all-Filipino owned communications agency servicing multi-national clients. Aligned companies are EON Engage (focused on public affairs) and EC-Art Management Company Inc.